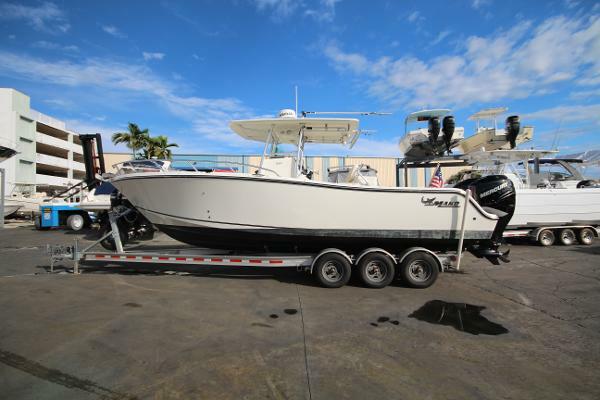 2006 Mako 284 CC Nice 28 Mako, 2006, just arrived-- Twin Mercury 250 hp 4-stroke engines, 661 Hours, Forward Seating, Marine Head, Livewell, T-top (soft), Windlass, Fresh water system, Clarion stereo w/JL Audio speakers, Garmin 3210 GPS,FF, Icom VHF radio, Ritchie compass, Fresh bottom paint (3/17), Stern seat (folding), -- she is clean and ready to go @ 49,000--don't wait !! 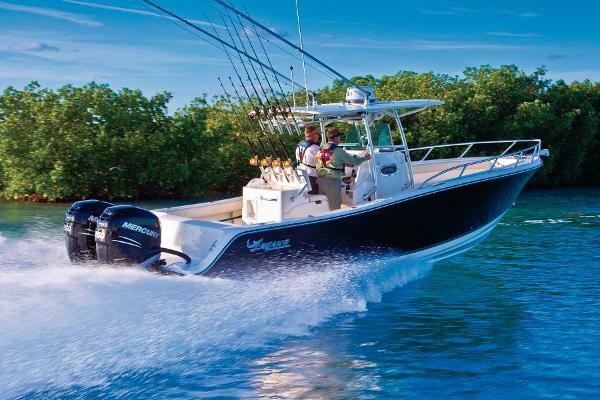 Located at KMC Marine, 3000 N. Fed. Hwy-Lighthouse Point, Fl. 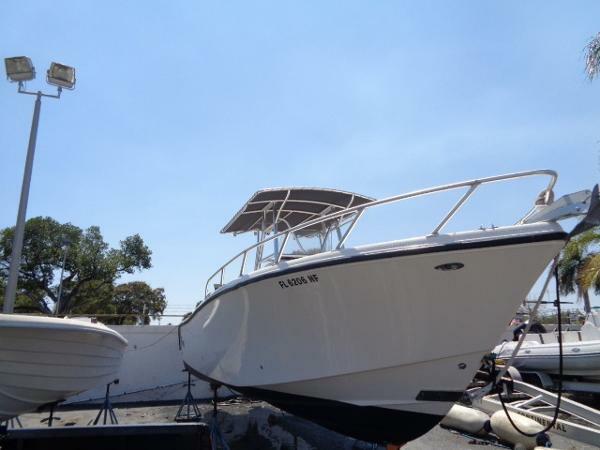 2005 Mako 284 CC NEW LISTING! Clean, Clean, Clean! 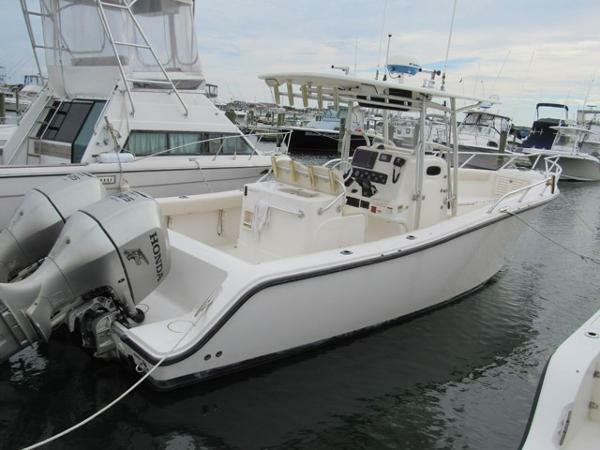 2005 Mako 284 Center Console with twin Mercury 275's with only (345 hours). 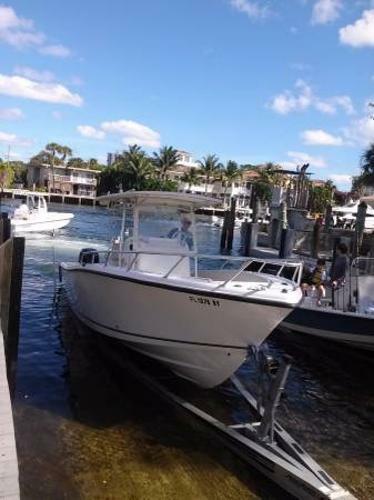 Seller has owned her since late 2005. 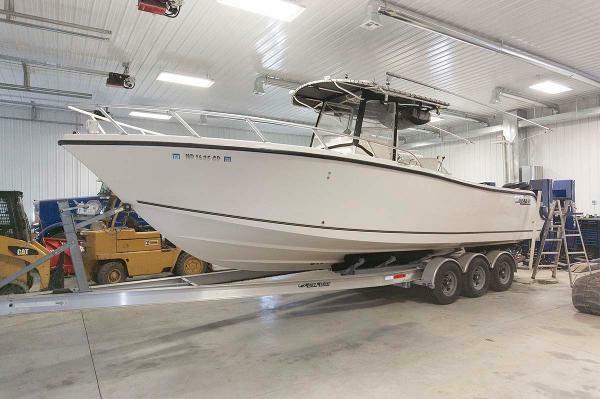 Lift stored inside~ Boats like this one don't come around very often. 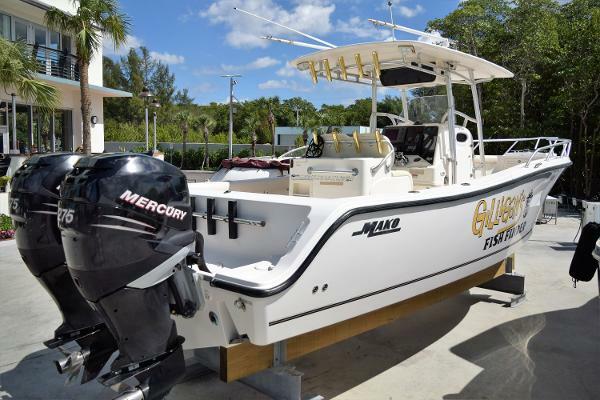 It is equipped with: Furuno GPS, VHF, Autopilot, Clarion Stereo, Outriggers, & More. 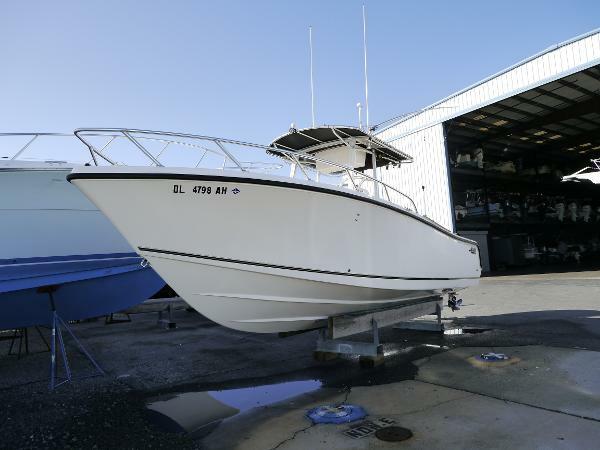 This Mako is ready to fish, and it has a bait station island with livewell and sink, raw water washdown as well as multiple fish boxes. Call today to set-up a showing! 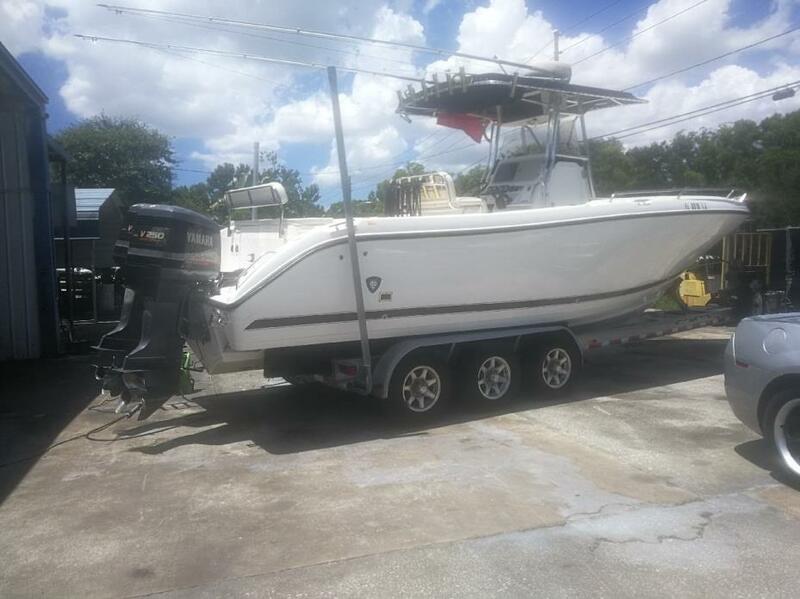 2005 Mako 284 CC MAKO 284 + TRAILER 2005 MAKO 284 DLX with TWIN MERCURY VERADOS 250hp (very low hrs) 2005 MAKO CENTER CONSOLE DLX-284 with TWIN 250s MERCURY VERADOS 4 Strokes very low hours. (Gauge says 201 to be verified with computer, surveyor). Always on trailer fully covered, cushions kept inside the house. Always cleaned thoroughly and engines rinsed with fresh water after going out. 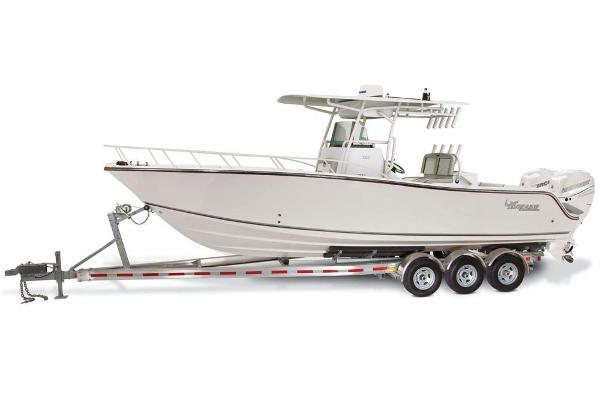 Mako Roadmaster Tri-Axle trailer available also. One meticulous owner. 3 kids in college. One scratch 14 inches on Hull from grazing our mailbox...oups. Bottom never painted. Open to take cash plus decent car in trade. FINANCING AVAILABLE!! !